Welcome on arrival at Bagdogra Airport and transfer to Darjeeling (95kms/3hrs). Once the summer capital of India, Darjeeling is a land of infinite variety and charm. It will cater you a mix-experience of lively nature charming Himalayan people. It is the place of Dorje, the mystic thunderbolt of the Lama-Religion. Surrounded by Tea gardens; this little town faces some of the highest peaks of the Himalayas. Take a rest and then a walk around town to appreciate the new culture you are in. Overnight at Hotel. 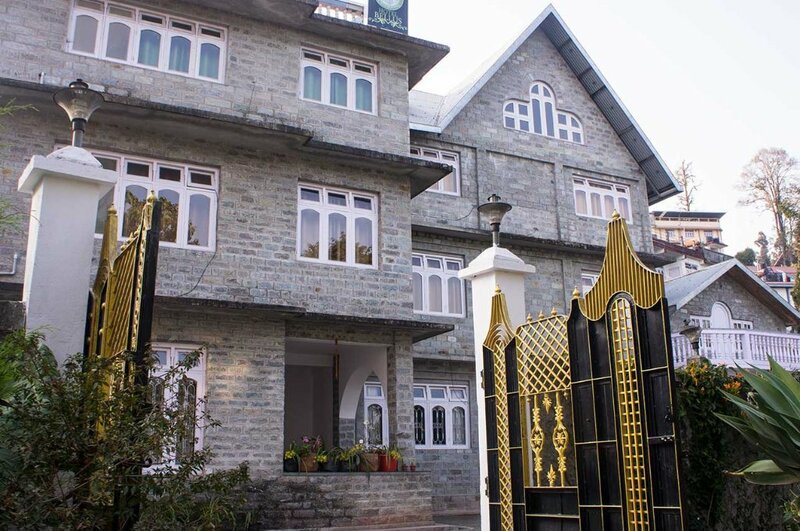 Located in Central Darjeeling, North Star Hotel is a perfect starting point from which to explore Darjeeling. Featuring a complete list of amenities, guests will find their stay at the property a comfortable one. All the necessary facilities, including room service, airport transfer, restaurant, tours, laundry service, are at hand. Guestrooms are designed to provide an optimal level of comfort with welcoming decor and some offering convenient amenities like television, satellite/cable TV, shower. The hotel offers various recreational opportunities. A welcoming atmosphere and excellent service are what you can expect during your stay at North Star Hotel. Located 102 kms (3.5 hours) from the Bagdogra Airport and 105 kms from the New Jalpaiguri Railway station. The hotel is in the Mall, Opposite Governor House, Located in the lower Himalayas at an average elevation of 6,982 ft (2,134 m). Early morning start for Tiger Hill to watch the spectacular sunrise and its amazing effects on the Mt. Kanchendzonga (World's 3rd highest peak), Visit Ghoom Monastery and Batashia Loop War Memorial while returning to the Hotel. Breakfast at the Hotel followed by half day local Best points sightseeing covering Padmaja N. Zoological Garden (Closed on Thursday), Himalayan Mountaineering Institute (Closed on Thursday), Tibetan Refugee Self-help Center (Closed on Sunday), Ropeway (entry fees not included), walk around visit to the Mall and Local Market (Closed on Thursday). Evening Free for shopping & individual activity, overnight at hotel. Ghoom Monastery is one of the oldest Tibetan Buddhist monasteries in Darjeeling. It has Magnificent views of the snow capped peaks including the Kanchenjunga. One of the key attractions inside the monastery is the 15-foot model of the Lord Buddha which is known as The Maitreya Buddha or the Gyalwa Shampa which means the Buddha of the future. There is a large collection of Buddha&#039;s manus inside, that includes a 108-volume Kangyur - The Tibetan Buddhist Gospel. The Himalayan Mountaineering Institute was established in Darjeeling to encourage mountaineering as an organized sport in India. The first ascent of Mount Everest in 1953 by Tenzing Norgay and Edmund Hillary sparked a keen interest in establishing mountaineering as a well-respected endeavor for people in the region. Tenzing Norgay was the first director of field training for HMI. These mountains offer a breath taking view of the surrounding areas. One can also enjoy the unforgettable view of the Sun Rise and Sun Set and admire the beauty of nature. The Tibetan Refugee Self-Help Centre was started on October 2, 1959. Following the dramatic escape of His Holiness the Dalai Lama during that period of mayhem, thousands of our fellow countrymen, leaving hearth and home, fled into neighboring countries so they could live as free human beings. The overwhelming majority of the refugees had brought nothing with them apart from the clothes they wore and what little provisions they could carry with them as they began the long and difficult trek over the Himalayas. Ideally located in the prime touristic area of Arithang, Hotel Juniper Tree promises a relaxing and wonderful visit. Both business travelers and tourists can enjoy the hotel's facilities and services. Free Wi-Fi in all rooms, 24-hour front desk, 24-hour room service, luggage storage, Wi-Fi in public areas are just some of the facilities on offer. Guestrooms are designed to provide an optimal level of comfort with welcoming decor and some offering convenient amenities like television LCD/plasma screen, wake-up service, balcony/terrace, telephone, fan. The hotel offers various recreational opportunities. A welcoming atmosphere and excellent service are what you can expect during your stay at Hotel Juniper Tree. Like our other Hotels guests of our hotel can have the assurance of friendly and highly professional staff. This is combined with the advantage of all modern amenities in rooms and comfort, throughout the stay. We always strive to make your stay most pleasant and memorable. Chorten Stupa, Which is also known as Dro-dul Chorten is in Gangtok . The stupa was built by Trulshik Rinpoche, in 1945. Inside this stupa, a complete set of Dorjee Phurba, Kangyur relics (Holy Books) and other religious objects are there. There are around 108 prayer wheels around the stupa. This chorten is regarded as one of the most important chortens of Sikkim. There are several other small stupas around the main one. Ganesh Tok is a loved tourist spot in Gangtok and a small temple dedicated to Lord Ganesha. It is situated on top of a hill thereby giving scenic views to the tourists who come here. The Kanchenjunga hill can be seen in its true form of glory from here and is at its best especially in the morning. The viewpoint is situated at a distance of 6500 m offers stunning views of the mountains covered in snow. The temple is however so small that it can only fit one person at a time. The place takes you a step closer to nature with its surreal surroundings and comforting ambience. Hanuman Tok is a Hindu temple complex which is located in the upper reaches of Gangtok, the capital of the Indian state of Sikkim. The temple is dedicated to lord Hanuman, and maintained by the Indian army. Namgyal Institute of Tibetology is a Tibet museum in Gangtok, Sikkim, India. The foundation stone of the institute was laid by the 14th Dalai Lama on 10 February 1957 and it was opened officially by the Prime Minister of India Pandit Jawahar lal Nehru on 1 October 1958.The NIT library holds one of the largest collections of Tibetan works in the world outside Tibet and a museum of Tibetan iconography and religious art. The institute&#039;s main building is an imposing monument and a splendid example of Sikkimese architecture.NIT offer plenty of insight and knowledge about Tibetan culture to their visitors and is a must visit place. Tashi View Point is a perfect place to witness the brilliant surroundings like mountains, valleys and Gangtok itself. This famous tourist point is located at a distance of 8 km from the town and is mostly known for offering some of the best sunrise and sunset views. On a clear day you can see the Kanchenjunga and Siniolchu Peaks. Glimpse of famous monasteries of Gangtok, Phodong and Labrang can also be seen from the view point. AM start for a half day trip to Tsomgo lake (12400ft), which is only 32kms from Gangtok City, the lake is almost about 1Km long, oval in shape and 15 mtrs deep. The lake is considered sacred by the local people, further 12Kms is Baba Mandir dedicated to soldier Harbhajan Singh. Evening free at Gangtok for shopping and individual activity. Major &quot;Baba&quot; Harbhajan Singh (30 August 1946 &ndash; 4 October 1968) was an Indian army soldier who died in 1968 near the Nathu La in eastern Sikkim, India. He is revered as the &quot;Hero of Nathula&quot; by soldiers of the Indian army, who built a shrine in his honour. He was accorded the status of saint by believers who refer to him as the Baba (saintly father). Morning after breakfast transfer to Kalimpong (80Kms / 02 Hours) and later the Local Sight Seeing In and Around Kalimpong City, covering Zong Dog Palri Fo- Brong Monastery (Durpin Dara Monastery ) ,Flower & Orchid Nurseries, Dello Hill. Evening free for individual activity. Overnight at Hotel. Deolo Hill is one of the two hills that the town of Kalimpong stands between. The hill is 1,704 meters above msl and is the highest point of Kalimpong town. The hill is located north east of the town. It is one of the 2 hills between which the town is sandwiched, the other one being Durpin hill.With bit of a hike ,It offer stunning views of the town,Teesta river and the beautiful Ralli valley.The place also offers stunning sunrise view of Khangchendzonga. Hotel Bellus (which is pronounced as ‘be lus’) may just be the perfect solution to your confusion. Located on the quiet and beautiful East Main Road, the hotel makes every possible effort to make you feel completely at home. The super deluxe rooms and the suites are well-designed with modern necessities and comforts to make your stay with us a wonderful experience and also a promising one. The kitchen of Hotel Bellus offers you a wide range of local Nepali, Bengali, Indian, Mughal, Chinese and Continental cuisine which are served by our in-house chef who is an expert in their fields and also has a global food understanding. Be it a casual or a fine dining, the guests can look forward to great authentic services and fresh gourmet cuisine which are sure to keep you asking for more. 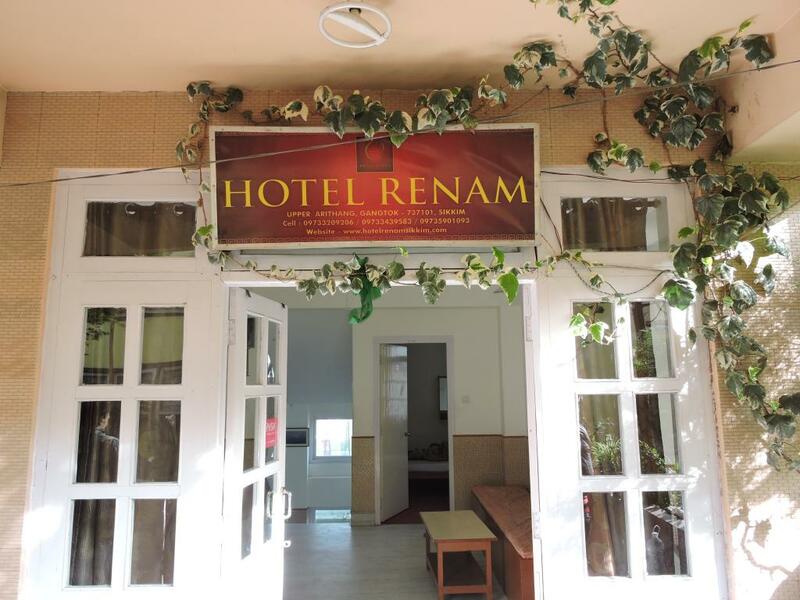 06 Nights accommodation on Twin Sharing basis at the above mentioned hotels. Daily Breakfast at the hotel is included in Standard, Superior and Deluxe Packages. Daily Breakfast & Dinner at the hotel are included in Super Deluxe & Luxury package only. One half day city tour of Kalimpong. One Half Day city tour and one Half Day Excursion Trip to Tsomgo Lake at Gangtok. Any services not particularly mentioned in the inclusions. A Govt. Service Tax of 5.00 % would be applicable extra on the total package cost. A minimum of 02 persons is required.